So things have not gone so well since I last updated. We lost back to back games including one to our hated rivals the Jets and one where I drove 8 hours to Buffalo to watch us get killed in freezing rain… at least I had great seats. We also had this great video from the #MetlifeTakeover but it wasn’t edited and ready to go until after the season was already over. Since then there has been a disastrous GM search and a Super Bowl in our city that I can’t even pretend to get excited about. That being said, 2013 was a truly great year for Dolfans NYC. 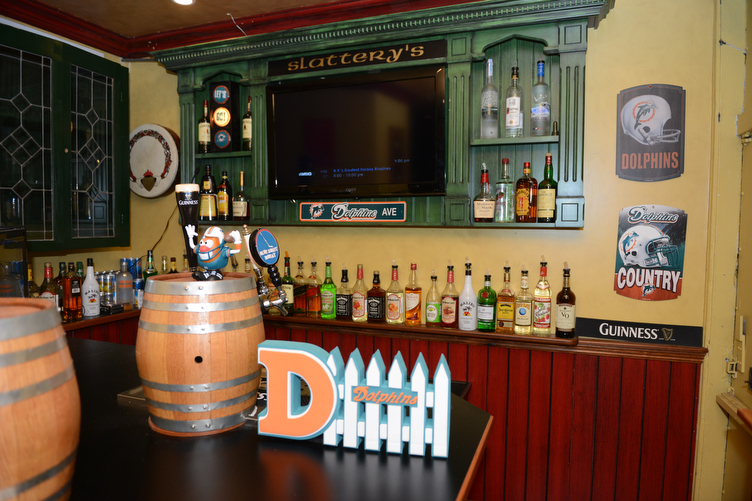 We found a new and improved home at Slattery’s Midtown Pub, raised thousands of dollars for various charities, threw the biggest away fan takeover in MetLife Stadium history and grew Dolfans NYC into a serious force in Dolphins fandom. The Dolphins new CEO even invited Michelle and I to watch a game in his box at SunLife. On top of that we really have created a family and even in horrible losses it’s been amazing to be around so many awesome Dolphins fans. There’s no place I would rather be than Slattery’s on Sunday and it makes the wins so much better and the losses sting a lot less. This year we donated $3000 to the Miami Dolphins Foundation, sponsored two riders in the Dolphins Cycling Challenge, donated several hundred dollars to a breast cancer charity in October and made Christmas a lot better for two Dolphins fans who were injured in the Metro North train crash on the way to the #MetlifeTakeover. We also have raised a significant amount of money that’s sitting in the bank for next year. This money will be used to make more t-shirts, buy more prizes for our fund raising raffles and to make future charitable donations. This fundraising we do is truly the best thing about this for us. It means so much to be able to do something positive and have all this fun at the same time. Michelle and I (and our many volunteers!) spend so much time on Dolfans NYC and people constantly thank us for all our work… but the truth is, we don’t need to be thanked. All this work is selfish. We do this because we want to have the best experience possible when watching Dolphins games and being able to watch every Sunday with 200+ passionate Dolphins fans or go to the Jets game with 760 of you guys is worth all the time and energy. 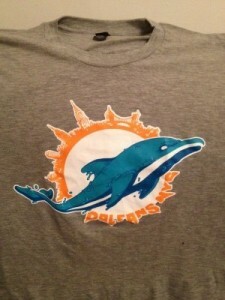 So in reality I want to thank you guys for coming out and supporting what we do at Dolfans NYC! Anyway, the Super Bowl is in NYC and I haven’t even checked out any of the events going on. So many Miami people are in town and I haven’t even gone down to Super Bowl Row. I feel like we should be doing more but Michelle is about to have a human child pop out of her and I am busy with work BUT, I just wanted to let everyone know that Slattery’s is going to be doing a big event for the Super Bowl. Slattery’s is doing a $75 top shelf open bar with free appetizers upstairs but it’s only $50 if you are wearing Dolphins colors! You can also watch the big game downstairs without having to pay for the open bar. Just pay as you go. I would love to watch the game with a bunch of Dolphins fans so let us know over on our Facebook page if you want to attend. Thanks! Lastly, I wanted to finally get up our #Metlifetakeover video. This thing is so cool and I posted it on Facebook and Twitter but I never posted it on our actual page. I hope you guys get a chance to watch it because I really love this video. Thanks to Alex Bente and his crew for filming and editing this! Also thanks again to Sailor Jerry and PBR for sponsoring our tailgate. Last Sunday the Dolphins lost a close game due to terrible offensive line play and some of the worst refereeing I have ever seen in an NFL game. It was amazingly frustrating and upsetting BUT despite this I still had a good time and I think most people watching at Slattery’s Midtown Pub did too. We have really built something special there and it makes the wins so much better and the losses almost manageable and I look forward to seeing everyone as much as I look forward to the actual football. 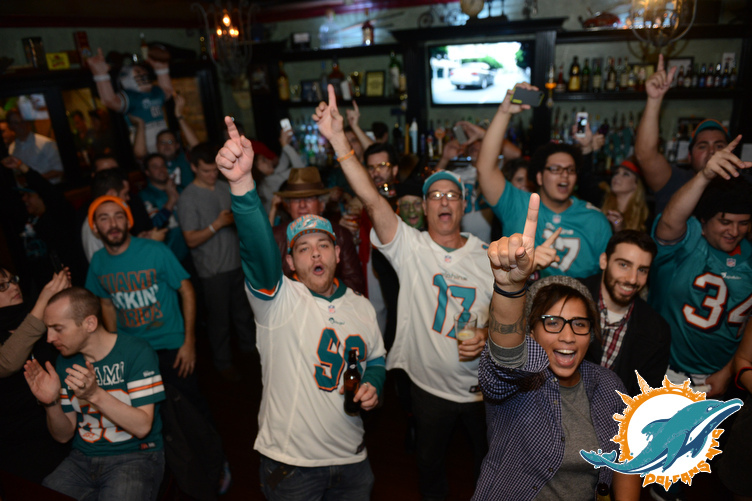 Dolfans NYC is a really amazing thing and it looks like the word is getting out. PhinPhinatic’s Paul Picken Jr. heard about our bar and took a several hour trip to our bar with his father in tow. He reached out to us before the game and said he wanted to do a story on us. It was great to meet him and he had a blast andÂ wrote up a great review of our fan club and our bar. Check out the article here and enjoy a few highlights below. Until recently, I mistakenly believed that outside of heading to Florida, finding an amazingÂ Dolphins get together would be next to impossible. 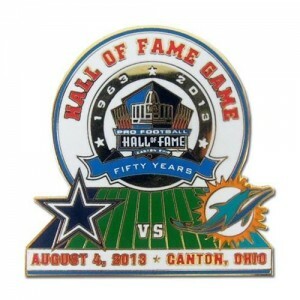 This past Sunday, despite a heartbreaking last minute loss by the Dolphins, I was proven drastically mistaken.Â I was shocked to see the sheer magnitude of their gatherings, and then noted that their Facebook group is approaching 1500 members and growing.Â This appeared to be a gathering that I had to see for myself to believe. On football Sundays, the traditional Irish pub menu is tossed out in favor of a Dolfan specific menu with some great selections and catchy names relating to the Dolphins, featuring such items as the â€œSun Life Nachos,â€ â€œChicken A.B.L.Tannehill,â€ â€œMarino Mozzarella Sticks,â€ and more.Â After a quick talk with our waitress, Audrey, my father and I settled on a â€œStill Perfect Burgerâ€ and a â€œBrian Cox Buffalo Chicken Sandwichâ€ with â€œFirst Down Fries,â€Â all of which were amazingly delicious and were all very large portions. Close to game time the place was nearly full of Dolfans, with more strolling in every minute.Â Every Dolfan that strolled in was warm and friendly, and gave the place a â€œCheers-likeâ€ vibe where everybody knows your name.Â I found out from Michelle that they have virtually taken over at least one section for the Dolphins at NY Jets game December 1st, with a list of 500 people that is still growing having purchased tickets and planning to attend. 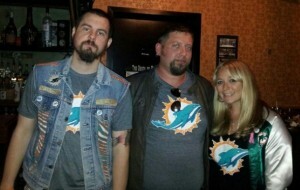 The passion that Igor, Michelle and the other founding members of DolFans NYC have for the team is obvious to anyone that comes into contact with them.Â Within minutes of entering an event at Slatteryâ€™s, even the most casual of fans will immediately notice their love of the Dolphins and fellow fans from all walks of life. 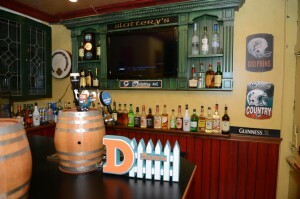 If youâ€™re ever in the NYC area, and are looking for a home to watch a Dolphins game, there is no better place than Slatteryâ€™s with this group to watch a gameÂ and I encourage you to do so.Â From the high fives after good plays, the sighs to the cheers, throughÂ the chants and heartache â€“ in this area, you will have an unmatched experience for watching the game. Posted in Events, Preview | Comments Off on It’s A Monday Night Party! Oh man! I am watching real football as we I type this. The Ravens have a first and goal against the Broncos in the first quarter and that’s a touchdown. Vontae Leach scored the first TD of the regular season. He could have been a Dolphin. Â Anyway, the Dolphins play their first game this Sunday and I couldn’t be more excited. 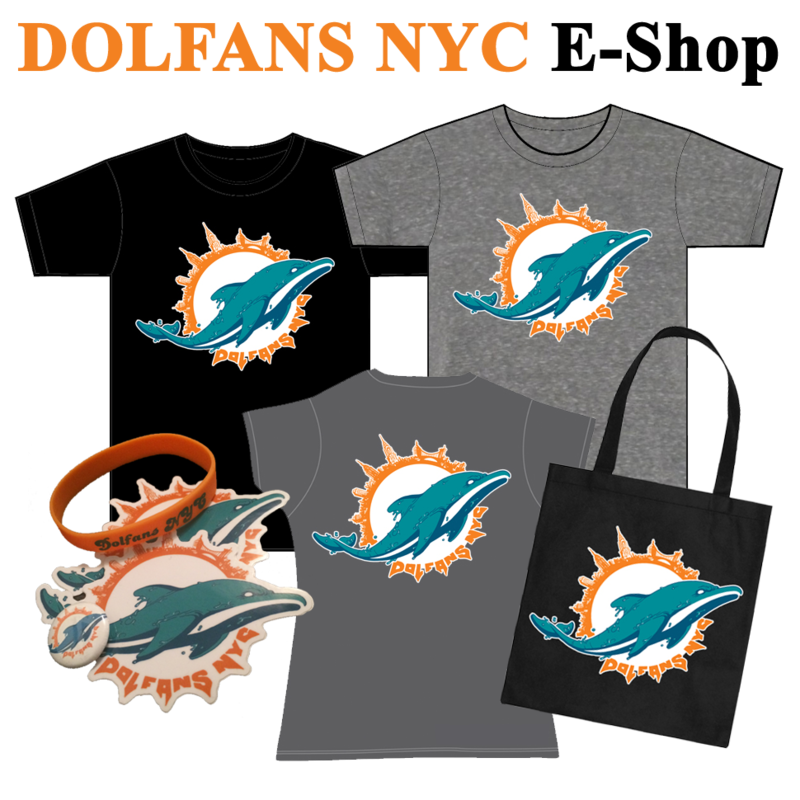 I don’t have much interest talking about the upcoming Browns game, there are a million sites you can read about that, but I wanted to talk about the upcoming Dolfans NYC watch party. First of all I want to remind everyone that we are now watching games at Slattery’s Midtown Pub on 36th St between 5th Ave and Madison. If you haven’t heard, 3rd & Long closed it’s doors after 22 years in business. It’s amazingly depressing, but fortunately we found Slattery’s and Slattery’s is going to be a fantastic home base for Dolfans NYC. Slattery’s is only a few blocks away from 3rd and Long but it’s a lot closer to both Grand Central Station and Penn Station. They are giving us happy hour drink prices and designed a menu with us in mind. Everything from your standards like wings and cheeseburgers to Miami favorites like a Cuban sandwich and menu items named after the Dolphins like the Ricky Williams veggie burger. On top of that free shots when the Dolphins win. It’s also a much bigger place with a lot more seats and a lot better sound. It’s going to be amazing. With a new bar and a new logo comes new t-shirts. 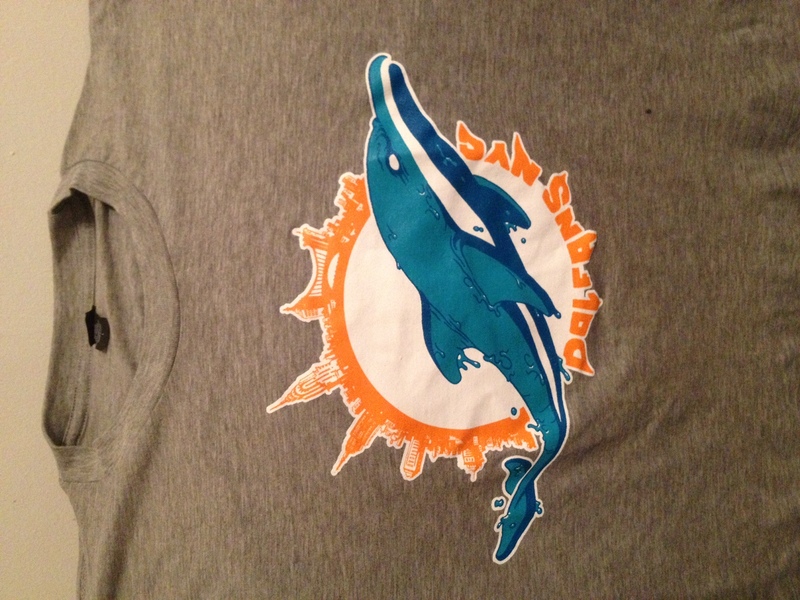 We got brand new Dolfans NYC t-shirts that will be available on game days starting with Sunday at Slattery’s. They are grey tri-blend shirts that are amazingly comfy and even come in women’s sizes. We spent a TON on these new shirts so the price is gonna go up to $20 but all the money goes to charity (and to making more Dolphins stuff). We got stickers, buttons and bracelets coming soon, and hopefully they will be here by Sunday but no promises. Lot’s of cool stuff this year. Anyway this year should be amazing on the field and here at Dolfans NYC. Hope to see you guys at Slattery’s!